Alex loves writing about WWE and critiquing their major shows. Backlash is noteworthy as the first of a new line of co-branded PPVs. Honestly, I am not a fan of this move and well, this PPV exemplifies why. How so? Well, let's dive in. The show begins with—I'll say it—the best match. Continuing their feud over the IC belt, Rollins and Miz put on a match that blended old school with new school. Miz played the role of dastardly heel taking advantage of Rollins's knee—including one clever spot where he lured Rollins into attacking the ring post. One of the greatest assets of this match was how much of a nail-biter it was. Rollins kicked out of multiple Skullcrushing Finales and fought off a Figure-4 Leglock. Seth eventually earned the W and kept his championship with a (Curb) Stomp from the second rope. From a workrate perspective, this felt like a better worked match. But it had a slightly less interesting story. To be fair, Alexa's PSA's about Nia being the bully were hilarious. Sadly, Bliss became injured since this was a physical match. Nia won in a fairly neat spot where Nia blocked Twisted Bliss into a Samoan Drop. The most noteworthy aspect of this match was Nia's victory speech. In theory, Nia sending the message of "Be yourself, don't let people push you around" is fine. But this went a little too long. Don't bore us, get to the chorus. 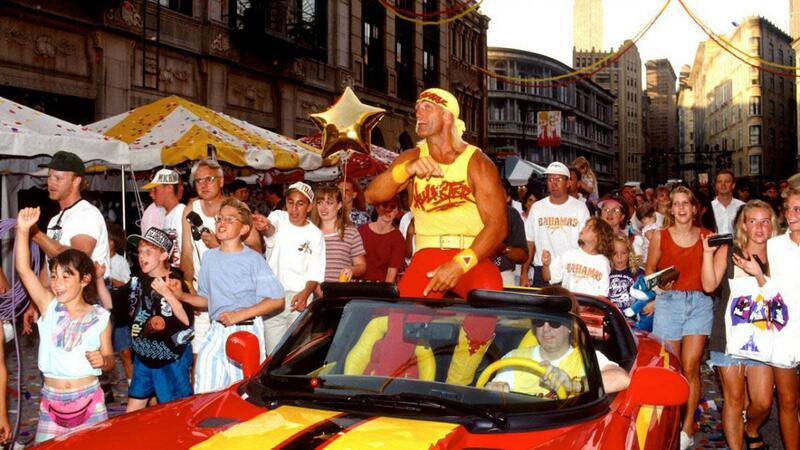 Also not helping is Michael Cole touting WWE's Be-a-Star initiative. In case you didn't realize this was WWE shoving its own PSA's down your throat, here you go. How do you make two normally interesting workers uninteresting? Put them in a match with zero heat. I hate to admit this, but I actually had to check results to refresh my memory of what happened in this one. When that can't help me find things to say, that's not a good sign. 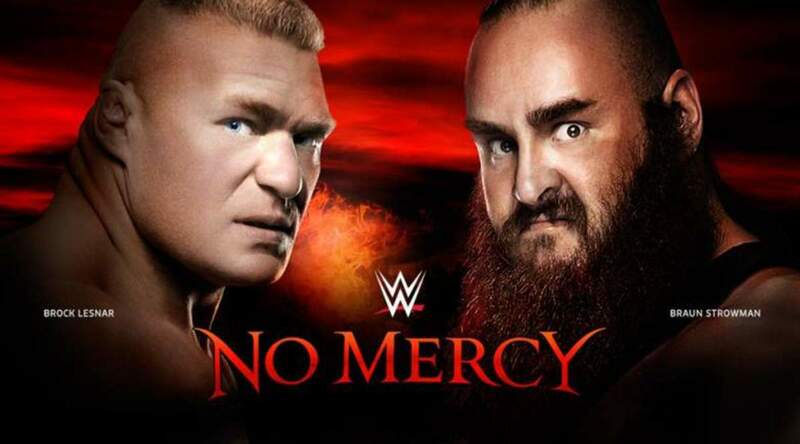 A lot of this show suffered from the booking team splitting their attention between this and Greatest Royal Rumble, and this match was one of the biggest casualties. Hardy won with a Swanton in what would have been a passable Smackdown match. After this match was a promo that started with Elias but eventually featured New Day, Rusev Day, No Way Jose, Fashion Police, and Bobby Roode. Trust me when I say that sounds funnier than it is. Okay, it was a little amusing, but it had a stench of "we gotta get these guys on the show somehow." One positive: Man, Elias owns his role as an old school ego-maniacal heel. Hot take: Having Daniel Bryan feud with Big Cass was a smart move. Yeah, now that he's back, there are a zillion dream feuds that can happen - Nakamura, Styles, Joe and he has a score to settle with the Miz. All of those can still happen. 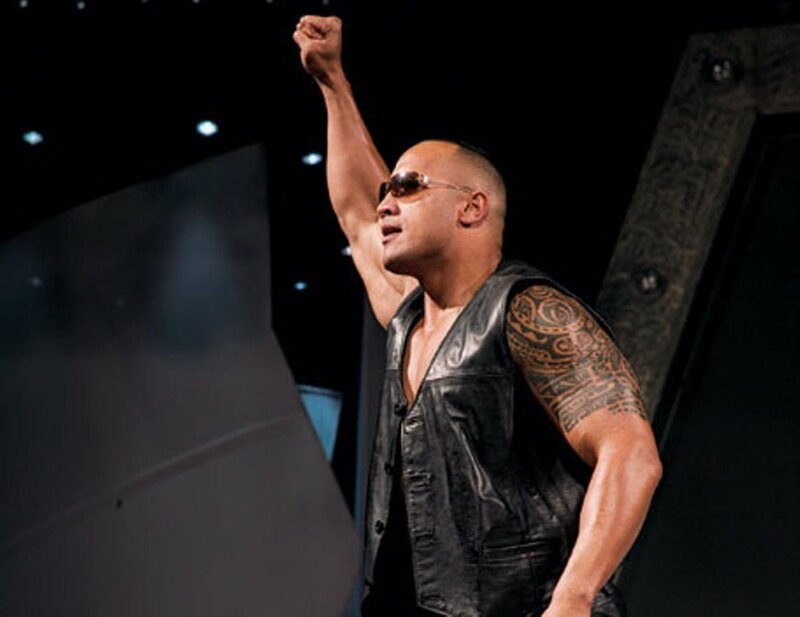 But the feud with Cass was smart because it's built on a strong story with the big man having a chip on his shoulder about his return being overshadowed by a bigger star's. Real life handed WWE a good story, and they had the smarts to take advantage. As for the match itself, Big Cass surprisingly looked good. The man has proven to be an exceptional talker for a hoss. But he must have trained during his time on the shelf because he's improved. 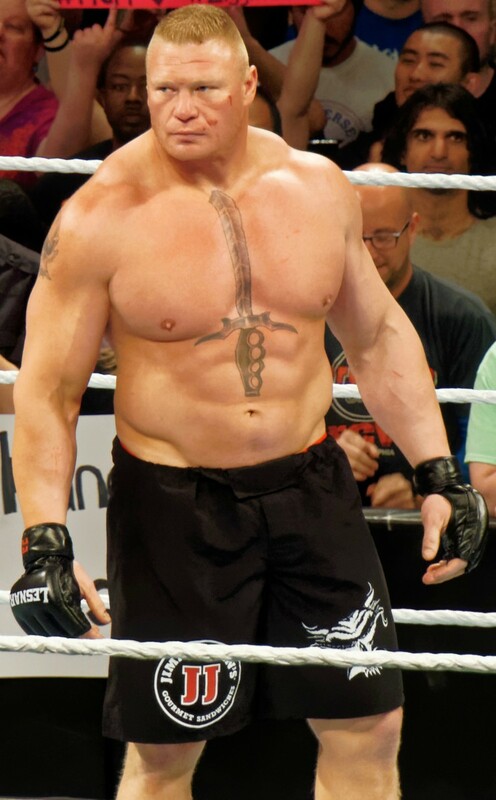 He's no Braun Strowman, but he's gotten better. Most of the match was classic David vs. Goliath fair. Its only real crime was ending too abruptly. 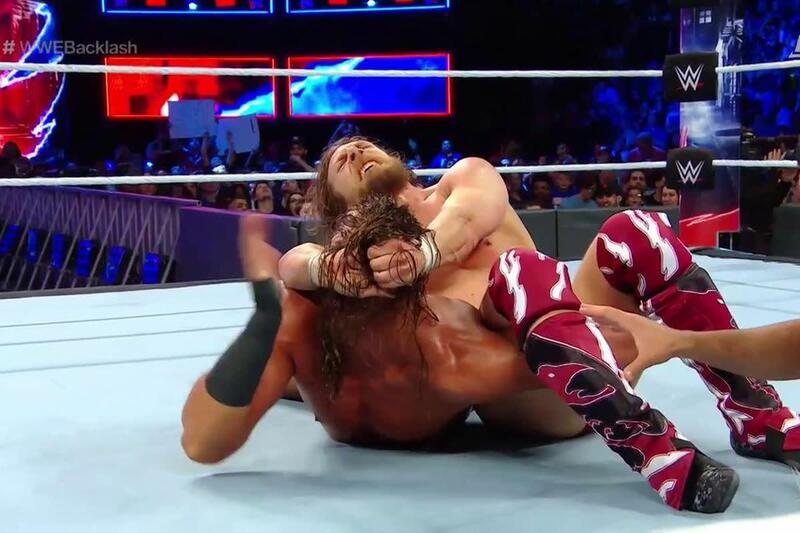 Daniel Bryan captured Big Cass in the Yes Lock, and the 7 footer tapped. Here's another match that serves as a clash of opposites. Charlotte is the consummate super-athlete while Carmella is a cowardly self-absorbed trash-talker. Mick Foley once applauded Chris Candido's willingness to play the coward in a business filled with tough guys. To her credit, Carmella plays the same cards, straight up running away from Charlotte and pulling the apron about halfway through the ring. 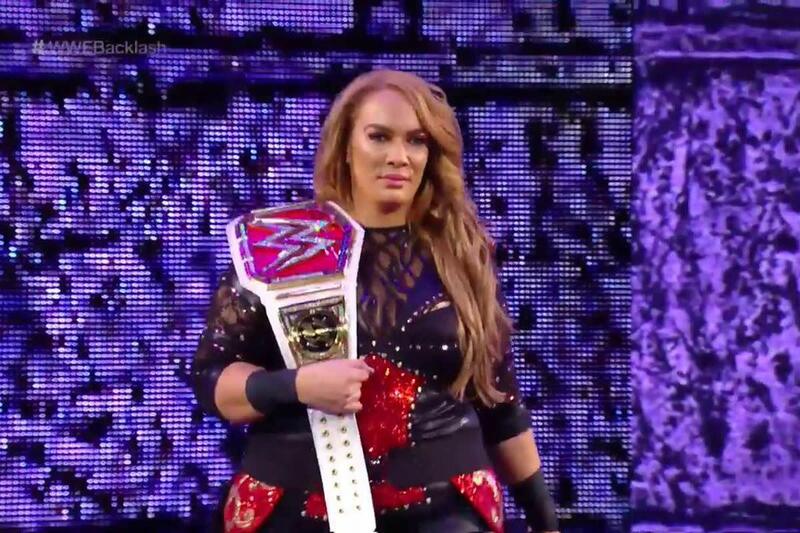 There was one funny spot where Carmella tried to flee, but was shut down by the Brick Wall that was Charlotte. (Tho by Commodores logic, she's more of a brick house.) However, there were also a lot of rest holds. And Carmella yells, a lot. I like Carmella's character. Her exuberance and energy are commendable, but she takes her commitment to making fans hate her a little too far. This match saw another limp-wristed ending. After working the leg, Carmella countered Charlotte's moonsault into a leg kick. Certain fans have criticized Charlotte for being protected, but I think Carmella should have had a more tainted victory. Charlotte looked weak, and Carmella didn't look diabolical enough. Their Wrestlemania match was decent but underwhelming. Their GRR match was good but had a screwy finish. Surely third time is the charm, right? Right?!? Things started a little slow. Actually, they started fast, then slowed down a little. But they picked up. 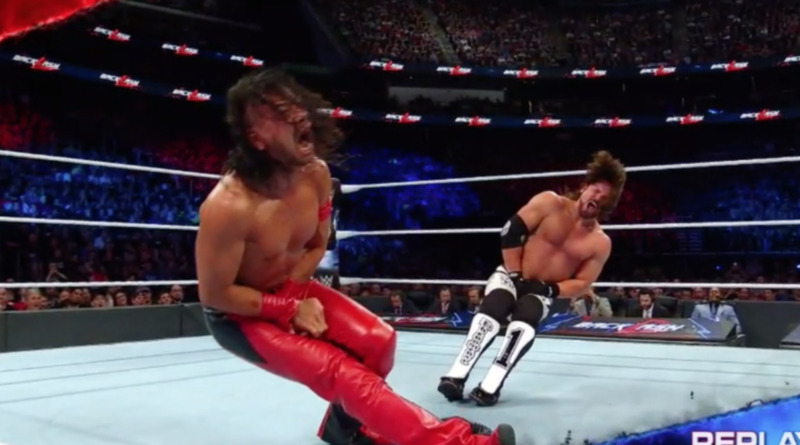 The most noteworthy spot saw AJ block a Kinshasa attempt by lugging a chair at Nakamura. This backfired and walloped AJ on the cheek, causing him to bleed hardway. The fact that this feud has turned into a battle of attacks to the family jewels has already become a running joke. But give credit to these guys, they kind of make it work. While AJ hasn't wised up to the point of wearing a cup, he has finally started fighting fire with fire. This match was looking to finally deliver until the ending. AJ and Shinsuke simultaneously kicked each other in the pills. And this incapacitated each other to the point where they were both counted out. At first, I was miffed at the discovery that the lone world title match was not headlining this show. But I thought, "If they're ending it that way, this makes sense." Then I thought, "They're ending it that way?" Seriously, this ending is bad enough, but this is the second time in a row that these two have had an inconclusive big match. I accepted it at Greatest Royal Rumble because it was between two big matches. But when it happens this often, it's an annoyance. If anything it just goes to show that co-branded PPVs are gonna be an excuse to shortchange big matches. Lashley and Strowman have been teaming up a lot on TV, and honestly, I think that's a bad idea. These guys are strong enough that they don't need partners. So teaming them up so frequently for no reason kind of makes them look weaker by comparison. This match wasn't bad, but it was pointless. It felt like somebody playing Universe Mode who didn't wanna leave his favorite guys off the PPV. All four men tried, they really tried. But when they've faced off (albeit with more partners) several times on Raw, and there are no additional stakes or stipulations, there is not much else they can add. The real story of this match was dissension between Sami and Kevin. Yeah, two of the more entertaining guys on the roster are teasing a split. Again. And they lose. Again. And here we are, the main event. Though you may not know that because Joe and Roman have barely faced off since Joe challenged Reigns after Wrestlemania. 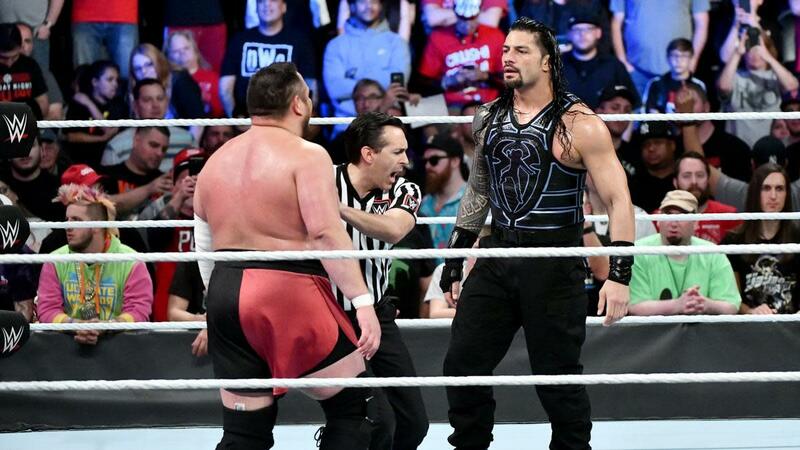 Of course, you may have forgotten Reigns was even feuding with Samoa Joe since so much of the build has focused on Reigns's battle with Lesnar. Yeah, this is another casualty of Greatest Royal Rumble. This match started off pretty well with Joe beating the stuffing out of Reigns, with some early table spots. Then the submissions started. This was when the crowd began heckling this match. On one hand, these submissions seriously slowed down the match. (No joke, I deducted points for this alone.) And after the show this audience sat through, I can understand how they got a little antsy. Though it is fair to point out that by crapping all over this match, they were trashing Joe as well - who got a hero's welcome at first. However, the fans dumping on this match felt extremely unfair because it did pick up. As a matter of fact, these two had a pretty wild brawl - Joe showed his mean streak. Roman reminded us how deep his bag of tricks is (At least he felt limited during his matches against Lesnar). Both showed how athletic they could be. But sadly, this match will be known for the audience dumping all over this match, including the chant "Beat the traffic." Though what can I say? It doesn't matter how athletic these two are when then there is nothing on the line. 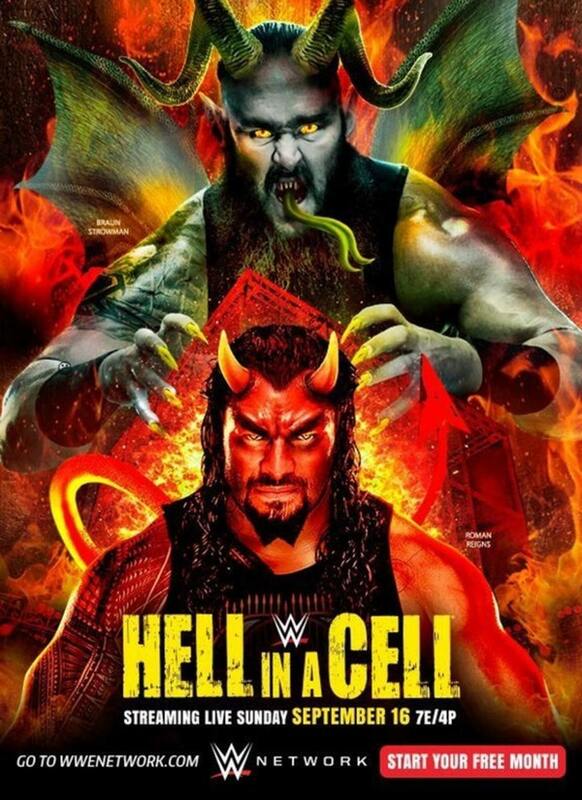 At least year's Payback, Roman headlined a match against Braun Strowman. That was also a grudge match, but that was a veritable blood. This, not so much. Also, there was a noteworthy spot where Joe had Roman in the Choke. It was so obvious Roman tapped, but the match kept going. Roman got the duke, and in a morbidly humorous moment, Kevin Dunn cut to a shot of the crowd exiting. If you can tune out the crowd, maybe you'll enjoy this one. But if you wanna see these two duke it out in a better match, they had some good ones on Raw. So Backlash was pretty bad. On face, most of these matches were not that bad. 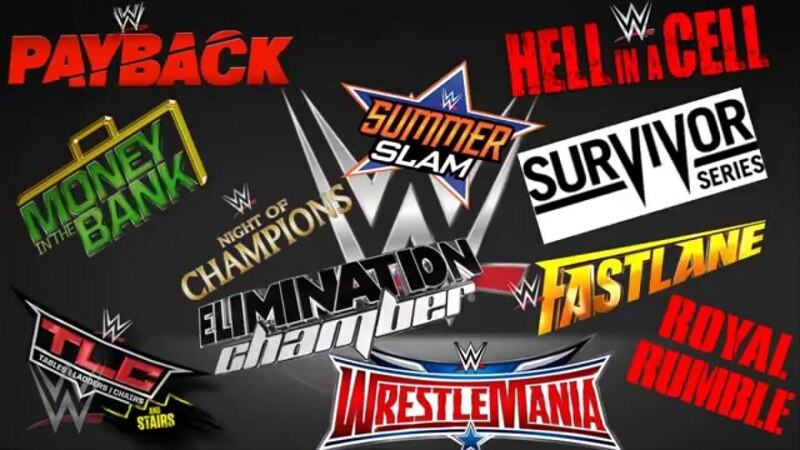 However, WWE presented an over three hour show with TV quality matches, matches with no heat, and matches with baffling finishes. Everything but Miz/Rollins checked at least one of those boxes. So yeah, this was a hard one to sit through. 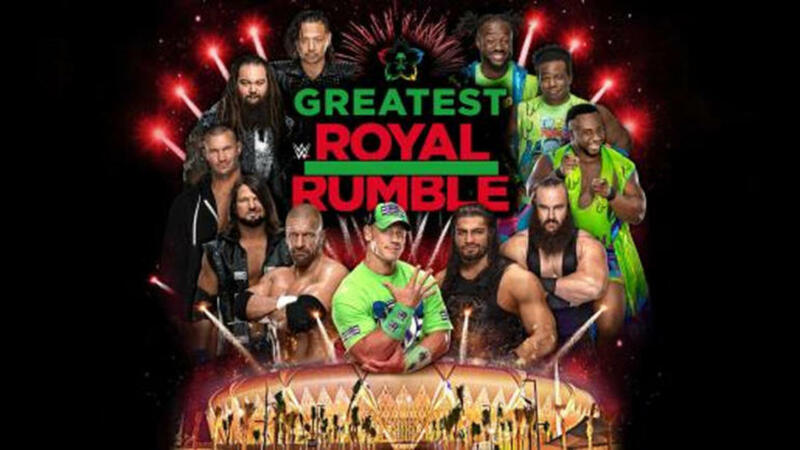 Part of the problem was that the WWE was split between booking this and Greatest Royal Rumble so their priorities were a little mixed. In short, watch Rollins/Miz and skip the rest (unless your tolerance for crowds heckling matches is high, then Joe/Reigns too). 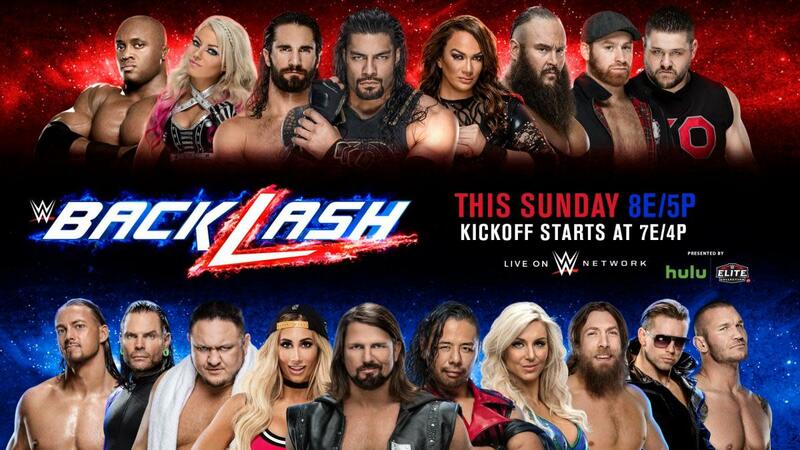 Most WWE PPVs have underperformed this year, but this is the kind of show that makes me think it's time to stir things up. The Grandest Show of them all returns to the Big Easy. The first seven men and the first all women Elimination Chamber collide at the Raw PPV. 30 men and 30 women rumble in one of the biggest events of the year. It's brand warfare with Smackdown vs. Raw.